Our hands can be a true sign of our age, but hand rejuvenation treatments can restore lost volume and provide a youthful appearance. Your hands are one of the most visible parts of your body, but if you’re like many people, you might be taking them for granted! Many individuals worry about lines and wrinkles on the face but don’t realize that the hands are giving away their true age. If your hands aren’t part of your daily skincare regimen, you run the risk of having hands that appear old, wrinkled, and sun damaged. As you age, your skin loses thickness and volume, which exposes veins and tendons (often considered telltale signs of aging hands). In addition, brown spots are also common on sun-damaged hands. 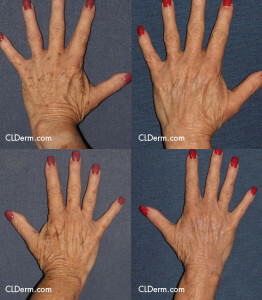 However, at Cosmetic Laser Dermatology, aging hands can become a thing of the past! Our skin specialists can restore your hands to a youthful, healthy-looking state once more. Our hand rejuvenation experts will craft a treatment plan based on your unique needs and goals and work closely with you to develop a long-term regimen for optimal protection and preservation of healthy, youthful skin. 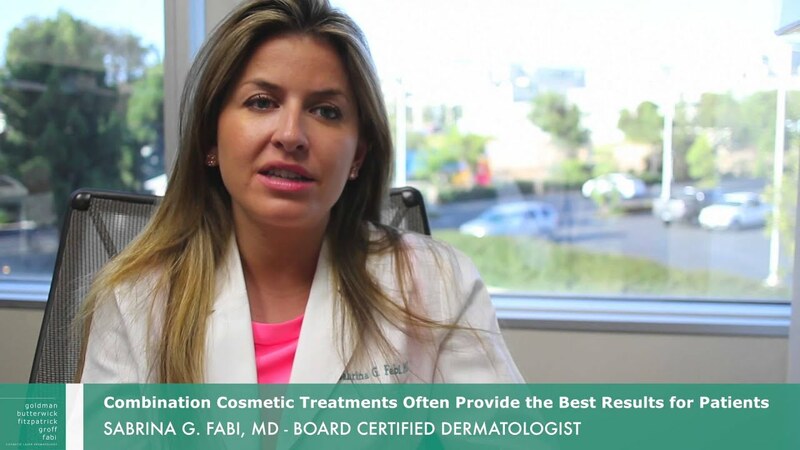 Our board-certified dermatologists and hand experts have more than 100 years of combined dermatological experience and are pioneers in laser treatment and research, In addition, they have also led FDA studies on methods to improve the appearance of hands and have published their successful treatment techniques in medical journals. 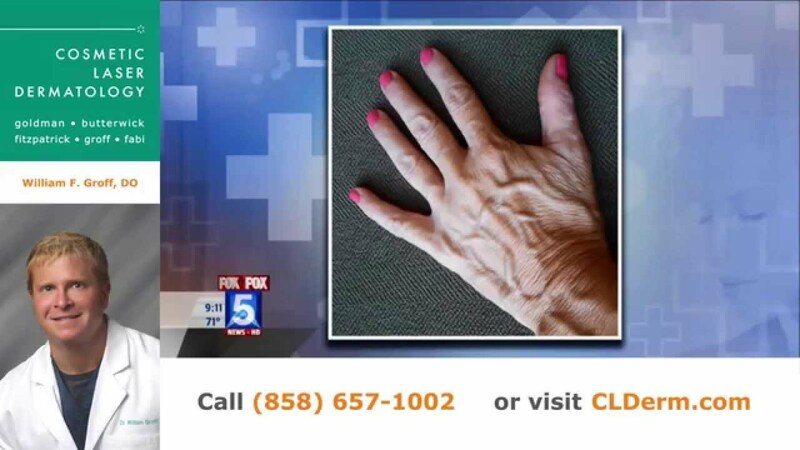 This means that CLDerm will provide the best hand rejuvenation treatment in San Diego. Visit our San Diego office to discuss your condition and allow our experts to address your concerns. Once we know your aesthetic goals, we’ll develop the right hand rejuvenation treatment plan for you. In treating in excess of 100,000 of your fellow San Diego residents for skin conditions like aging hands, our skin specialists have the experience, knowledge, and solutions you’re looking for. To know more, schedule a consultation at Cosmetic Laser Dermatology today. 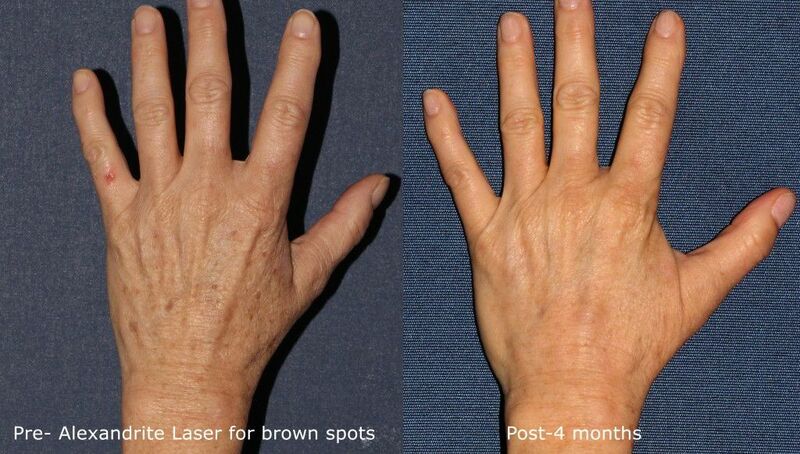 At Cosmetic Laser Dermatology, we have a wide variety of ways in which we rejuvenate the hands. These treatments can differ in their methodology, but their overall goal is the same: to provide you with healthy-looking hands. Our hand specialists have the expertise to deliver results that last for as long as a year with little or no downtime and minimal side effects (such as mild swelling, bruising, or tenderness for 4-7 days). After your treatment, you’ll enjoy radiant, youthful-looking hands. At Cosmetic Laser Dermatology, our hand skin specialists offer several safe, effective treatments to restore lost volume to the hands. Dermal fillers (including Radiesse and those in the Juvéderm and Restylane product lines) are effective, non-surgical methods for rejuvenating the appearance of your hands. Not only can dermal fillers boost your body’s natural collagen production, but they also volumize the skin and reduce the appearance of wrinkles. 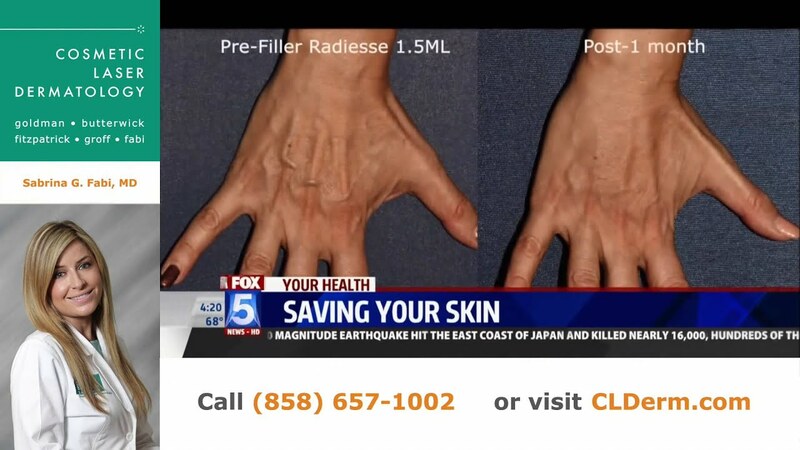 The reason why dermal fillers like Radiesse are such effective hand rejuvenation techniques are because of CaHA (calcium hydroxylapatite) microspheres, which target collagen to ramp up its production and add volume to the skin. Intense pulsed light (also known as IPL) is a cosmetic laser that’s used for a variety of skin concerns, including sun damage, freckles, rosacea, and more. The hands are almost always exposed to the sun when outdoors, and sun damage can take its toll in the form of dark spots, uneven skin tone/texture, and the development of wrinkles. 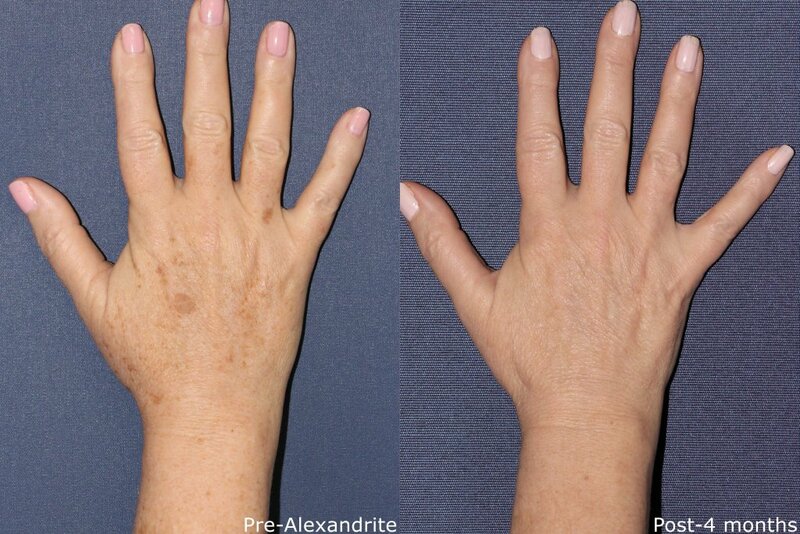 IPL can help reduce the appearance of dark spots and restore the hands to a more youthful state. IPL treatments are safe for use on the hands and relatively painless. The laser has a built-in cooling mechanism that soothes the skin following the heat of the laser, and a topical numbing and cooling gel is applied before treatment to further reduce any discomfort. Treatments are fairly short, and results will appear gradually over the course of a few weeks. IPL is one of our most popular treatments due to its visible results and short treatment time with little to no downtime. 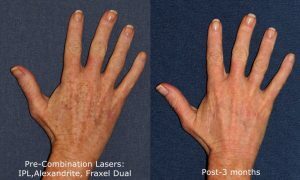 Although IPL is the most common laser treatment for hand rejuvenation, the specialists at Cosmetic Laser Dermatology have a variety of laser treatment options to treat your hands such as the Fraxel 1927 thulium fractionated laser, the Picosure laser and the Q-Switched Ruby and Alexandrite lasers. With over 45 different lasers at our disposal, you can rest assured knowing that we have the technology and experience to provide you with youthful and beautiful hands. One of the easiest ways to maintain the youthfulness of your skin is by using sunscreen every day. Many people wear sunscreen at the beach and during other outdoor, but did you know that sunscreen should be worn all day, every day, on every part of the body exposed to the sun? It’s not enough to simply put on a facial primer with SPF – your hands need to too! Protecting the hands from sun damage through the everyday application of sunscreen can help to prevent sunspots and wrinkles. At Cosmetic Laser Dermatology, we are focused on maintaining the health of your skin. If you’re looking for safe, excellent ways to rejuvenate the appearance of your hands, we’ll help you achieve your aesthetic goals. 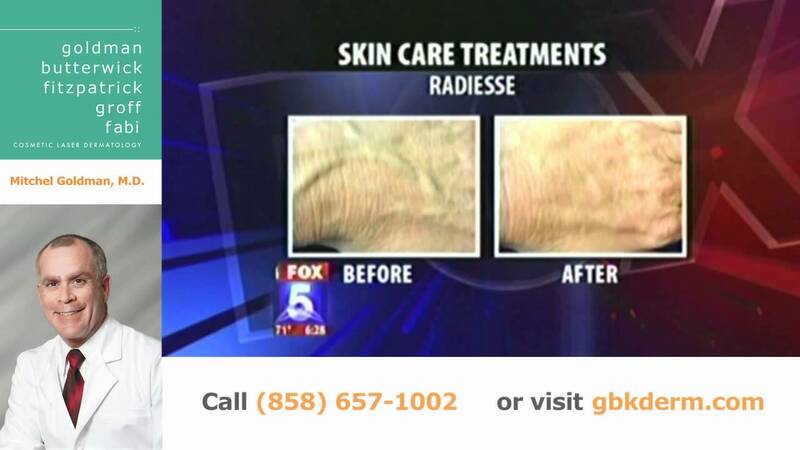 To learn more, visit radiesse.com or schedule a consultation with our hand rejuvenation specialists today. Our friendly, compassionate staff will address your concerns and craft solutions for the youthful appearance you deserve. Q: What is hand rejuvenation? A: Hand rejuvenation refers to the restoration of health and vitality to the hands, which in turn results in a youthful appearance. Beginning at the age of 30, the skin on our hands loses about 1% of its volume every year, resulting in wrinkles and other signs of aging. Luckily, Cosmetic Laser Dermatology has several different treatments that can help revitalize your hands. Q: What happens if I don’t protect my hands from the sun? Q: What is the best treatment to rejuvenate the appearance of my hands? A: Since everyone is unique, the “best” hand rejuvenation treatment varies from person to person. The best way to know which hand rejuvenation therapy will benefit you most is to schedule a consultation with our skin experts. Q: Who should perform hand rejuvenation treatments? A: For the best and safest hand rejuvenation results, you should undergo hand rejuvenation therapy from a board-certified dermatologist or cosmetic surgeon who has the training, skill, and knowledge to customize a solution that meets your aesthetic goals. 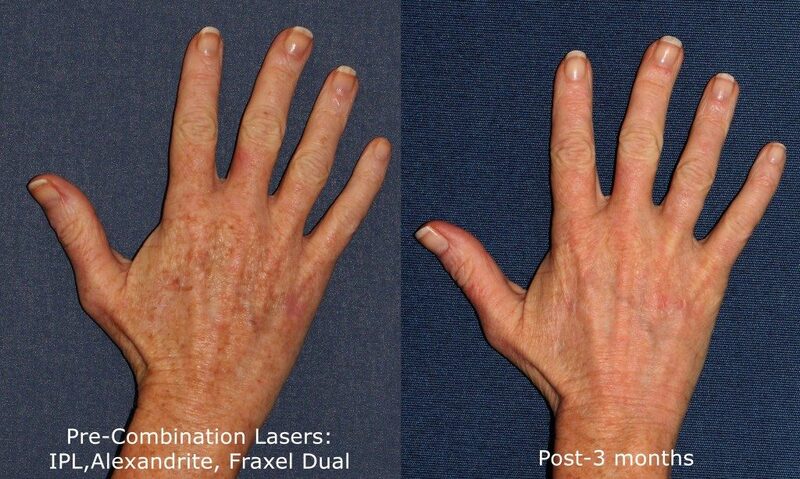 Q: How much are hand rejuvenation treatments at Cosmetic Laser Dermatology? A: Because we offer different treatments for your hands, each tailored for your unique case, the cost of hand rejuvenation depends on various factors, such as the extent of aging and/or sun damage on your hands or the overall condition of your skin. An initial consultation with our hand experts will help determine your cost. Q: Are hand rejuvenation procedures safe? A: Yes! The hand rejuvenation procedures provided by CLDerm’s skin specialists are completely safe and effective. Q: How long before I can see results? A: In some cases, visible results are immediate, though it could take several weeks before you see full results. Ultimately, the length of time it’ll take to see full results depends on the treatment used by our hand rejuvenation specialists. Q: Am I a good candidate for hand rejuvenation treatment? A: Candidacy for hand rejuvenation can only be determined by an in-person meeting with our hand experts, during which you can share your concerns and ask any questions you may have. Q: Does hand rejuvenation cause pain and/or significant downtime? A: The hand rejuvenation treatments used by CLDerm’s doctors are all minimally invasive, meaning that discomfort is minimal and downtime is non-existent. Receive a gift of hand cream and nail polish with any Restylane Lyft treatment. For more information about the monthly specials offered at Cosmetic Laser Dermatology, visit our Promotions page.